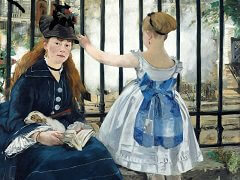 Manet, the modern artist, has never been easily integrated with Manet, the Christian. 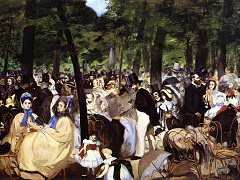 Like most Frenchmen of the nineteenth century, Manet was raised a Catholic, and his early life was organized around the central rituals of the church. 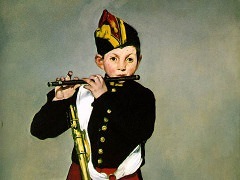 However, unlike many of his well-educated contemporaries, particularly artists and writers, Manet maintained close ties to the church throughout his life. This does not mean that he was a pious, conservative Catholic - such an idea would be antithetical to everything else we know about Manet. Yet, he had more than a casual familiarity with the progressive wing of the Catholic Church in France and was a lifelong personal friend of several important clerics. 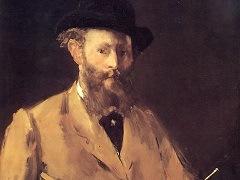 French theologian Joseph Ernest Renan, whose first volume of The Life of Jesus appeared in 1863, the year Manet began this first great religious painting. 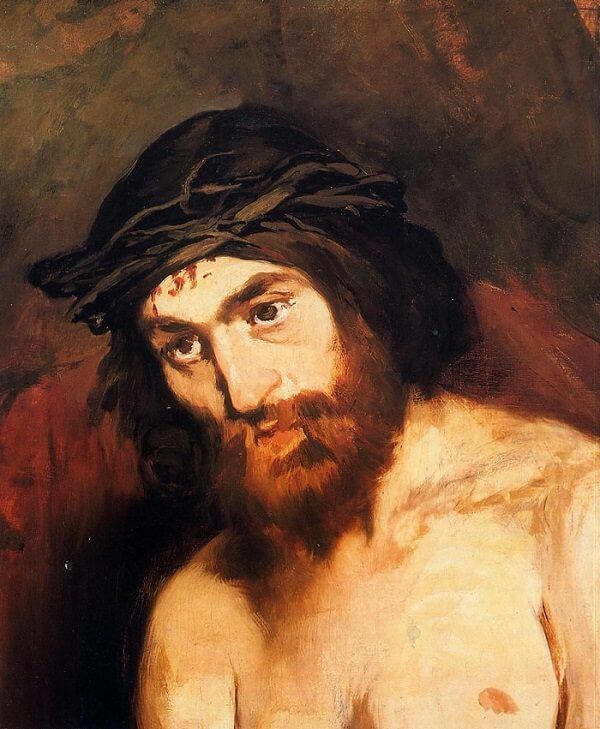 The following year, 1864, saw the publication of Manet's painting of The Head of Christ. The close connections between Renan's best-selling biography of Jesus and Manet's paintings have yet to be explored closely. They are, however, undeniable and crucial. 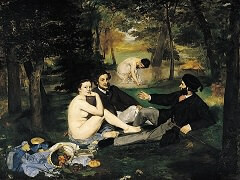 Following Renans lead, Manet borrowed elements from earlier representations of the life of Christ, yet he subjected them to the same radical transformation that he used when adapting other sources, for instance Titian's Venus of Urbino of 1538, to his Olympia. 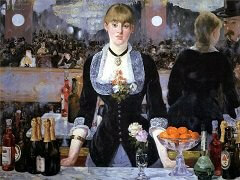 Where Titian's courtesan is a goddess, Manet's goddess is a courtesan. 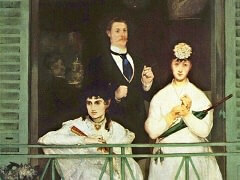 And, analogously, where Titian's Christ Crowned with Thorns of 1548 is God, Manet's Christ is man. His ruddy flesh and sheer ordinariness astounded contemporary viewers. The almost shocking frontality by which Manet presented his Christ is unceasing in its insistence that we confront his humanity.